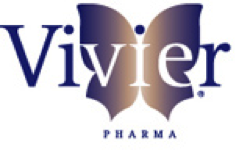 Vivier Pharma is a leading pharmaceutical skin care company with a mission to provide medical grade skincare solutions for the treatment, maintenance, and protection of the skin. They are committed to bringing doctors and their patients exceptional and innovative skin care products that make a difference. VivierSkin products have advanced combinations featuring Vitamin C and a unique, patented delivery system called the IntraDermal System™ (IDS). The IDS has the ability to increase penetration across the stratum corneum (the outermost layer of the skin) by diffusion, enhancing the ability of the product to penetrate the skin and deposit an active ingredient right where it is needed. VivierSkin is quite simply the world’s #1 topical Vitamin C line. VivierSkin is the only pharmaceutical-grade skincare brand that combines the powerful benefits of the world’s #1 patented Vitamin C serums (L-Ascorbic Acid USP) with pharmaceutical-grade cleansers, toners, eye therapy products, moisturizers, advanced sun protection products, body care, and complete skin care systems. The result: a flawless canvas, known as Vivierskin. Recommended by dermatologists, plastic surgeons, and skin care specialists, VivierSkin products are ideal for many skin types and conditions from dry, sensitive skin to hyperpigmentation and anti-aging. VivierSkin Platiné is the latest innovation from Vivier Pharma. Featuring the Peptide CR Eye Crème, Peptide CR Complex and Peptide CR Crème, this premium family of products is formulated with pharmaceutical-grade, advanced peptide technology, Vitamin C, and Retinol. VivierSkin Platiné helps refresh the appearance of the eyes, face, neck, and décolleté for a complexion that is youthful and radiant. The SkinTx SKIN TREATMENT SYSTEM is a pharmaceutical-grade daily skin restoration system that helps correct hyperpigmentation, aging skin, irregular skin texture and tone, skin laxity, and acne. SkinTx helps restore the skin’s vitality by using a powerful combination of Retinol, Hydroquinone, Alpha Hydroxy Acids, and Vitamin C (L-Ascorbic Acid USP)—a unique combination that yields remarkable results. SkinTx is recognized and endorsed by industry-leading dermatologists and plastic surgeons for its pharmaceutical quality, ease of use, and consistent results.